Crepuscular has attached these 5 pictures. The message is below. 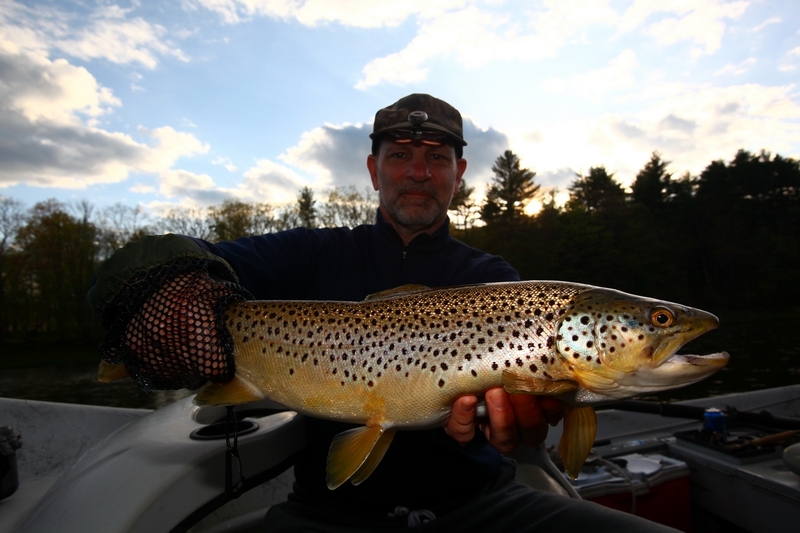 Posts: 916 Amazing fishing last Wed. Thursday and Friday. Sorry for the crappy pictures..
Posts: 2604 They look like pretty small flies, Eric. What do you think, Drunella cornutella? Perhaps D. lata? The pale tails have me leaning towards lata. Thought I'd chum the waters. Posts: 496 any chance there are some coarse-sandy edgewaters around? Posts: 916 I think they were too big for lata or cornutella They were a solid size 16. Those projections are pretty obvious in the last photo. I was calling them cornutas on the water, but after seeing the photos I was too unsure to call them cornuta. There was all kinds of habitat around. Pine Creek is fairly large and has a lot of every type of habitat. There were thousands of spinners in the evenings. 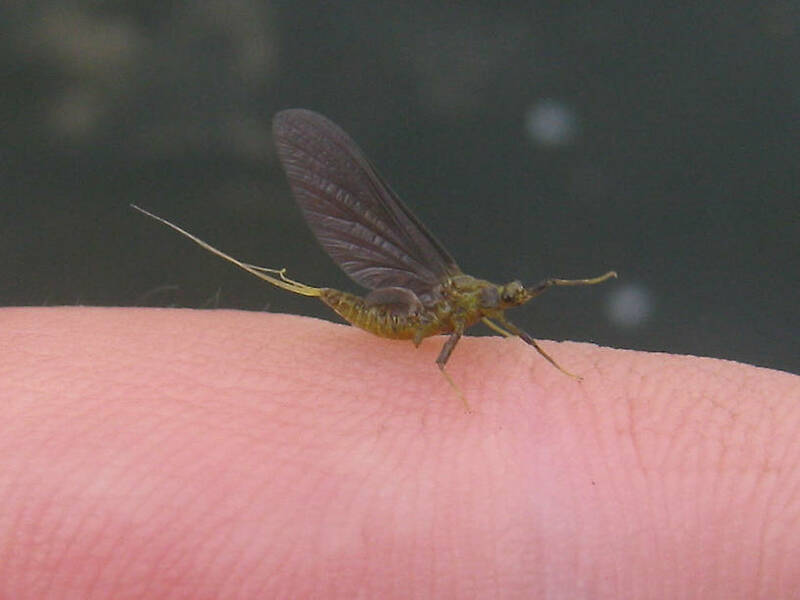 Even some hatching duns, which also made me less sure of cornuta. I don't remember seeing projections like that on cornutas. Synonymizing longicornis with lata does complicate the size character a bit, but I think you're safe in that part of the country. My guess is that your specimens are substantially smaller than 8.5 mm which is the approx. shank length of the old Mustad 94840 #14 (the 94840 #16's measure slightly under 7mm). Besides the size difference, cornuta (as well as cornutella) has pale caudals with obvious brown bands at the segmental joinings (making them appear darker in the hand). This character appears to be lacking in your photos as far as I can tell. In addition, the black spots clearly visible on the male sub's hind femora is a key character lacking in cornutella. Interesting that you brought up the lateral projections, Luke. Are you thinking of the species tuberculata or some other? I see these projections often in close-ups of ephemerellid adults if the angle is right, but have never seen them discussed that I remember. I'm very interested to hear your thoughts on the matter. Posts: 496 Initially I was thinking about Dannella spp., but the color (and size?) might be a little off, at least compared to the pickled one here in my hand. Not much, though. Eric - I don't think they're Attenella. 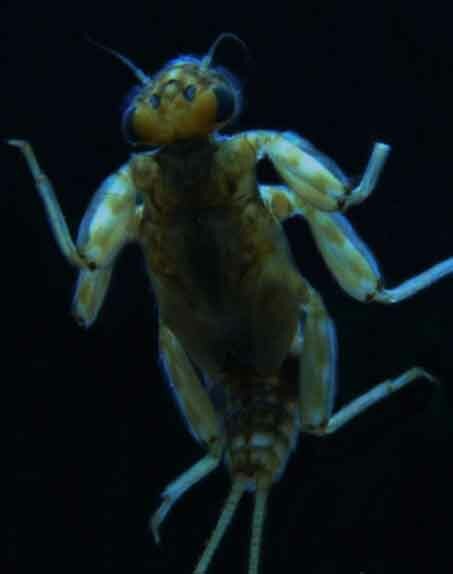 Besides being too big, they're the wrong body shape and the femora don't look right (real scientific, I know:)). They're also missing mesonotal projections. I've never seen them mentioned (not that my memory has proved trustworthy), but they usually seem to show up on the specimens of Attenella duns I've seen. I haven't seen many photos of Dannella and descriptions are pretty sparse, but from what I can glean, they are stocky like drunella, sized in the 7mm range, dark or blue winged, and usually olivaceous. Luke - Dannella, huh? I must admit the possibility never crossed my mind. Should have picked up on your posterolateral projection and habitat comments, but at the time I didn't see anything extraordinary about them and my memory failed me regarding their mention as a key character of Dannella in Merritt. The puzzle is I've seen the same looking projections on other ephemerellids (including cornuta) as appear in these photos. Since I can't make out the presence or absence of gill sockets, I don't know how definitive this character is here. It's interesting that projections on ephemerellids sometimes look to be lacking while in another photo of the same critter they stand out like the German beach fortifications at Normandy. It depends on the angle of the photo and flex of the body, I guess. Anyway, that's why I asked you to expand a little on this issue. BTW - looking closer at the male's forewing, the sparseness of crossveins between the costal and subcostal together with the crowding of the subcostal and radial sure looks like a good match for Dannella, but maybe they're just obfuscated. Diagrams I can find of the hind wings don't show the prominent costal projection as in this photo. This raises another question. I seem to see a lot of ephemerellid hindwing diagrams lacking projections and I'm not sure they're accurate. Are you aware of any reason for this discrepancy? Posts: 916 I have to apologize for the crappy photos and lack of collected specimens that I could have looked at and photographed under my scope...I guess that's why I didn't put this under the identification topic, and why I titled it Pine Creek Ephemerellid... I wasn't sure about the correct ID of these critters. I really should have saved some. There were only about 10,000 of the spent imagoes and crippled duns drifting by me. Also I don't know if this means anything but there were tons of cripples. More than I usually see with any emergence. 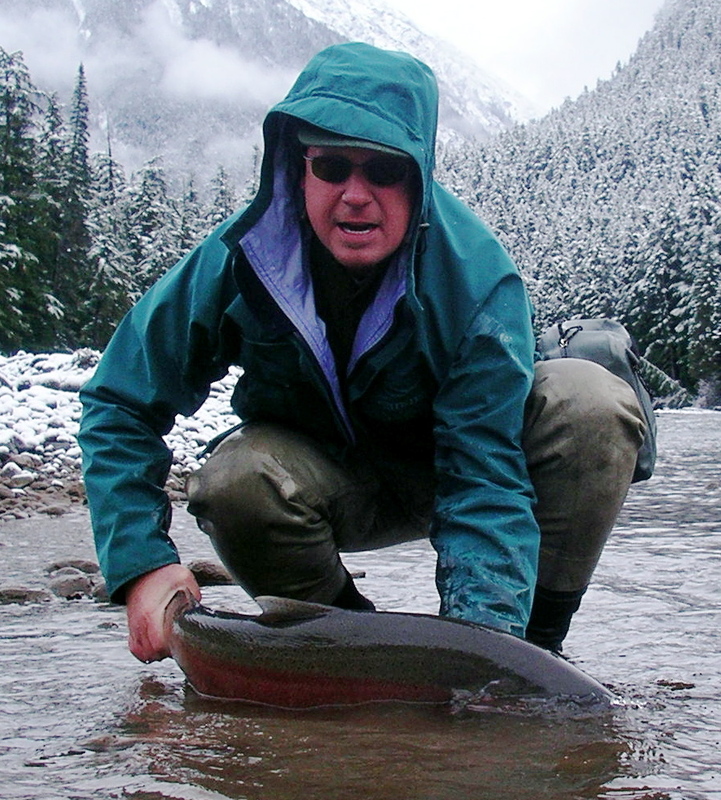 ...there were some truly big fish eating them,... There were only about 10,000 of the spent imagoes and crippled duns drifting by me. Ha! No apologies required under such circumstances! I'm glad you posted them anyway. This is an interesting one. Posts: 496 i got thinking about your observation of the cripples. i see that alot when i try to rear ephemerellids in the lab; and many of the non-cripples take a LONG time to get out of their nymphal skins. 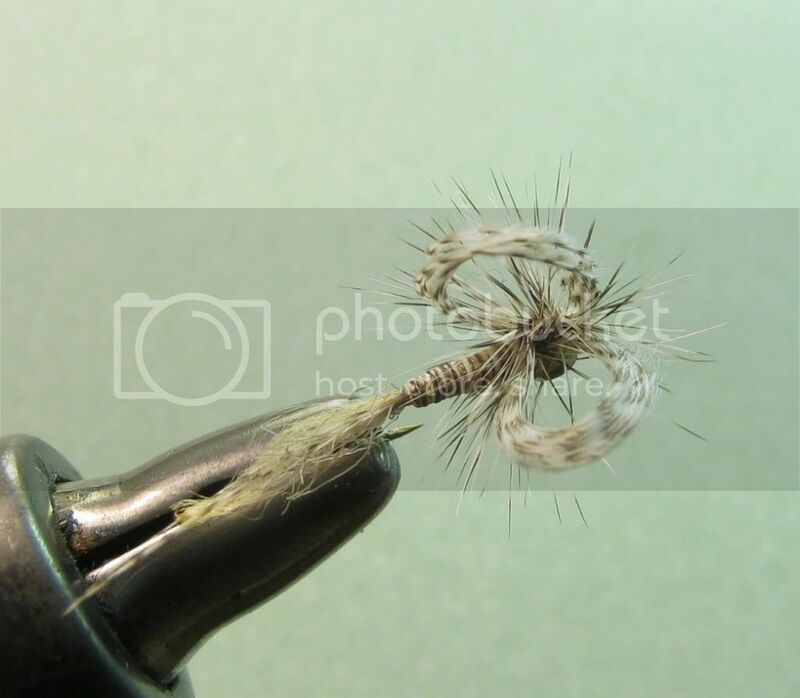 are there some effective fly designs for this that anyone has tried with success? The subject of cripples is worth a serious study. I'm firmly convinced that the percentage of a hatch's cripples is directly related to various combinations of temp/pressure/humidity/surface conditions. Outside of these "perfect" combinations the percentage of cripples goes up dramatically. Many, many times I've seen the same species have a lot of trouble one day and mostly come off without a hitch the next. The problem is I've never been able to nail it down in any predictable way. Too many variables, and I've never been one to run tests and record data when fish are working. :) Do some species have a greater propensity for this? Perhaps... I think that hatches like PMD's and baetis have the reputation because of their density, which allows cripples to be more noticeable. 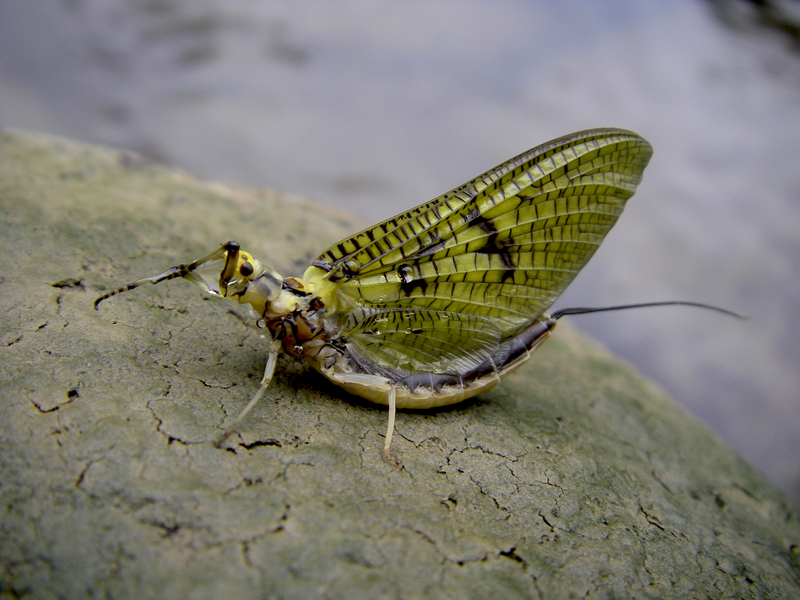 If there is one that seems to do it a lot, I'd have to say Callibaetis. Cripple patterns? There are many. Two of the most famous are the Quigley Cripple and the Sparkle Dun. 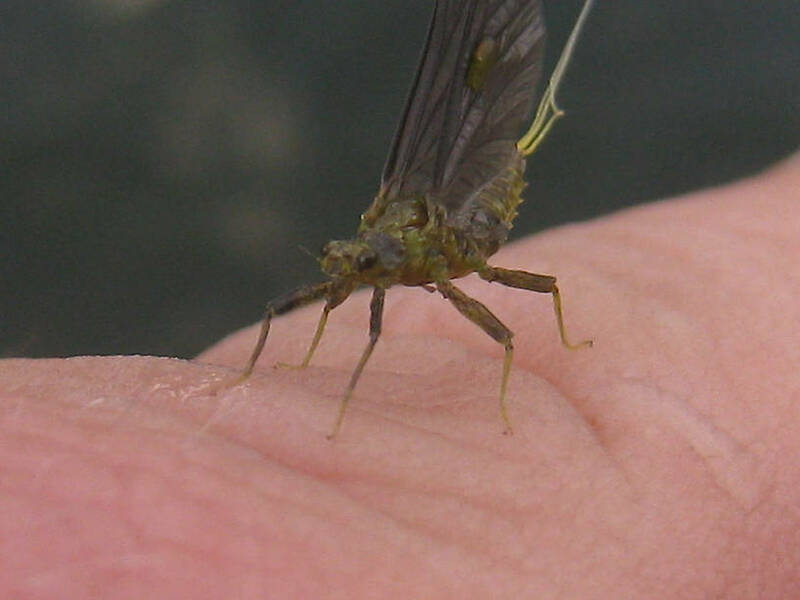 As I said, one species of fly that usually seems to take awhile to emerge and often gets stuck is the lake dwelling Callibaetis. Here's a pattern that does good work for me. Posts: 916 Sure Kurt make me feel stupid for being a smartass.. In all seriousness the subject of cripples has come up quite often in the last few years among a couple fishing friends that I have. 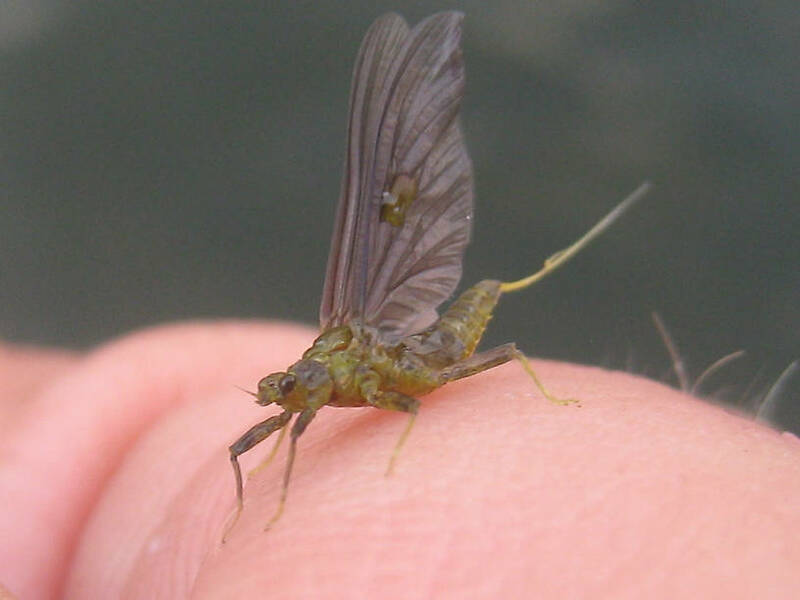 One of the patterns that I tie that has worked pretty well is to tie normal looking dun with a trailing shuck or tails but tie the wings in at a 90 degree angle, seems that sometime specific fish will key in on those flies during heavy hatches. Hendricksons, and other ephemerellids are prime canidates for those patterns. Others I tie with both wings on one side like a normal dun but the wings are tied perpendicular to one side of the hook. Kind of like a spinner but with both wings all on one side. I'll try and post photos later. Sure Kurt make me feel stupid for being a smartass.. 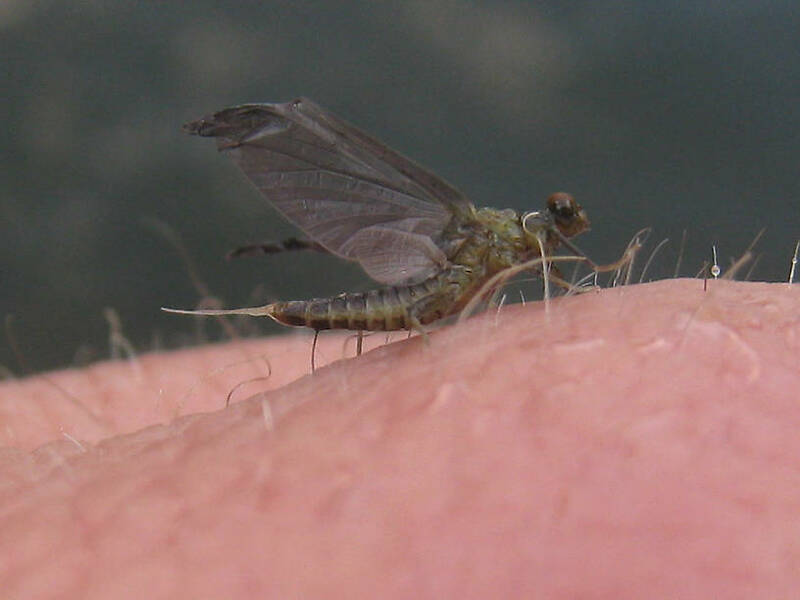 Along the lines of your side mounted fly, a neat guide trick that sometimes works quite well if you don't have a matching cripple pattern is to take a standard tie, twist the wings and hackle with your fingers clockwise until they stick out to the side and trim the hackle underneath. 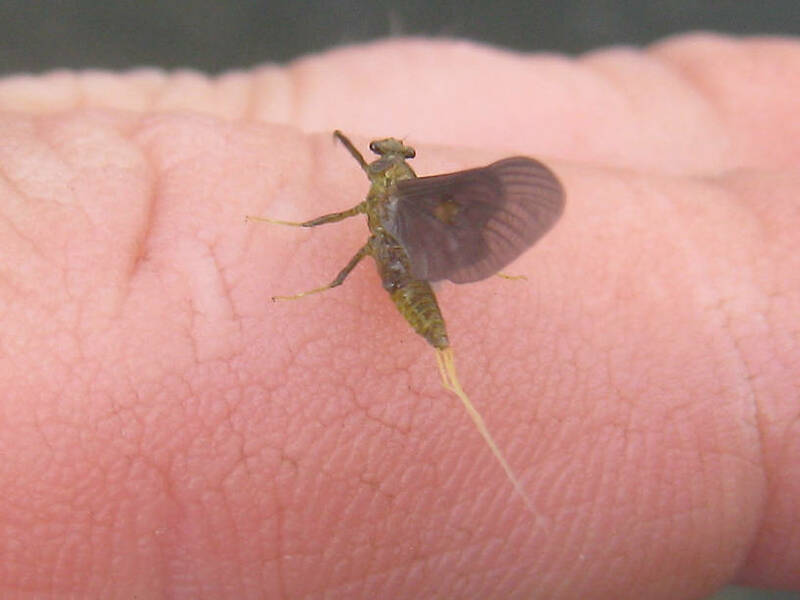 Terrible thing to do to a beautiful dry fly I know, but sometimes you gotta do what you gotta do! :) Look forward to participating in your spinner topic. Luke - Hey, no fair changing the subject like that! :) Anything you can share regarding my questions about ephemerellid hindwings and lateral abdominal projections? Anything to my observations about mesonotal projections on Attenella? Re: Drunella "lata" recently revised. Re: M. ithaca in M. mediopunctatum section? Re: Can I get a better ID on this?